The General Constitutions of the Order of Friars Minor affirm the centrality of environmental justice in the Franciscan mission. Father Joe Rozansky, OFM, is international director of the Franciscan Office for Justice, Peace and Integrity of Creation (JPIC). The Bronx native has been based in Rome since his 2005 appointment to the JPIC office. He is a member of the Holy Name Province of Franciscan Friars, based in New York City. Father Rozansky traveled back to the United States not long ago to facilitate a seminar for JPIC animators and interested friars of the English-speaking Conference. St. Anthony Messenger caught up with him after the seminar, on the grounds of Our Lady of the Snows Shrine in Belleville, Illinois. Q. Describe the JPIC office and your role in it. A. Our office deals with environmental justice, which is the relationship between the environment and justice for people. It deals with peace-building and reconciliation in the friars’ work with the excluded of our society. And it deals with the ethical use of resources, both financial and natural. The last phrase, “integrity of creation,” basically means concern for creation. Essentially, our work is to reflect with the friars and educate them: to see what they’re doing in these areas and then to encourage them to do more. Originally this work was seen more as something for activists, and I think we still need activists—people who look at a situation and can organize a specific project. But what we’re trying to do right now is to make JPIC values part of our everyday life and ministry as Franciscans. Q. Can you say more about the phrase “environmental justice”? A. Environmental justice includes our concern for both the environment and the people. We should not have an environmental concern that discounts our concern for people. And our concern for people should also take into account our concern for the environment. The idea is that you cannot be just Why do Franciscans care about the environment? Father Joe Rozansky lays out the facts.a tree hugger. A bunch of people live underneath those trees, and there are all sorts of social relationships and connections to the trees and forests. So what we try to do is show the relationship between the two. When we address poverty, for example, we can’t destroy nature in the process—because in the end that’s going to come back and bite us in the tail. And when we address the issues of the environment, we need, without question, to address the issues of economics. The question becomes: How can we work together to defend the poor and to defend the world that we all love? We need an integrated approach. Q. Is climate change a part of this? A. Yes. People are very concerned nowadays with climate change, especially in the United States. How many wildfires are burning around the United States right now? And what about the tornadoes? I just heard a government official on television comment that climate change is responsible for a lot of these problems. Most people now agree that this is more than speculation: weather patterns are changing, and they are creating the conditions for these disasters. Another example is the oceans. A major article just came out about the oceans, saying that they’re much more “dead” than we thought. If we lose the oceans, what happens then? That’s a huge part of the way that we sustain ourselves. For too long, people wouldn’t believe the idea of climate change, but it seems that scientific evidence now points to the impact of human activity on the climate. We need to find ways to address that impact and to change the ways that we live. Here in this country we have a big responsibility. A lot of our development has been based on the unlimited use of natural resources. There’s no question that the entire population of the world cannot live as we do in the United States or like the people in Western Europe. There are not enough resources in our world. We also need to see how climate change impacts the poor—not only the environment—because the poor have the least resources and suffer the most when disasters occur. I’m very concerned about the environment, but I would never address the environment alone. Q. What drew you to this work? A. A lot of it goes back to my experience in Brazil, where I was from 1975 to 1985. I saw firsthand so many injustices, so many problems, and the poverty of the people. The first five years I worked in a very middle- to upper-middle-class school. But then I moved from the city of Anápolis in central Brazil to the city of Goiânia, which is the state capital. In Goiânia, I was encouraged in many ways by the Church itself to be much more aware of the reality around me and the difficulties our people faced. So I ended up working in a number of slum areas, called favelas. I met lots of families in the favelas who were struggling to survive, yet they were still committed to changing things for the better. They inspired me to do the work that I’m doing today. Q. Were there any people in particular who inspired you? conference at that time when the military was in charge of the government. The government was very repressive, as was true throughout Latin America. There were dictatorships everywhere, and Dom Fernando would speak out against that; he would speak out in favor of justice for everybody. Goiânia also had the national headquarters for the Pastoral Land Commission. In Brazil one of the big social problems is land reform, and I was inspired by the people who worked at the commission, both at the local level and at the national level. I mean, there were people I knew who were tortured, people who had family members who were killed because of their association with these groups. All of those people were, in a sense, models for me. Many of them were very poor, they had very little time to themselves, and yet they would give the little time they had to this organization or to coming to church. They went to Mass to be inspired by the whole message of Jesus, by the message of Francis. And they weren’t asking for handouts; they were about this task themselves. They were asking people to walk with them and help them understand how they could improve their situation. Q. Chico Mendes and, later, Sister Dorothy Stang were two well-known environmentalists in Brazil, both of whom were assassinated. Did you meet Mendes while you were there? A. Chico died in 1988. I met him in Washington, DC, through a friend who works at Environmental Defense [Fund]. He was a rubber tapper and the president of the rubber tappers’ union. His whole approach was to save the forest, not just because the trees were important, but because for him and for the people who worked in the forest it was their livelihood, it was their home. He loved the forest, too, but at the same time he saw it as a means of sustenance for himself and for the people. He was murdered for his work, and these problems continue in the Amazon. Just before I came here, we were talking in our meetings about the Amazon and how we want to create a comprehensive evangelization project that will include all of these issues. Of course, we’ll have sacramental ministry and pastoral ministry, but we also want to be ministers of human rights, ministers of the environment. Q. Many groups already work to protect the environment. 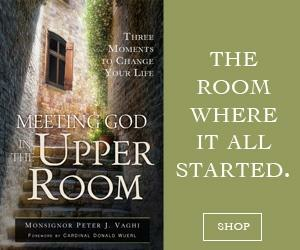 Why are the Franciscans focusing on this work now? A. Our minister general has said, “It’s part of the DNA of being Franciscans.” Pope John Paul II named Saint Francis patron of ecology for a reason. If you look at Francis even popularly, you’ll see that he was already known as a man who was concerned about nature. I need to go back a little to explain why we’re focusing on this now. In 2009 we had a General Chapter—that’s a meeting of the Franciscan provincials and leaders from around the world that takes place every six years. At the chapter, the JPIC group presented various proposals dealing with ecology and environmental justice, and they were accepted by the delegates. We were already working on these issues, but we were encouraged to expand that work and to develop formation courses on these issues and on our spirituality—how JPIC ties into our spirituality. I’m really happy the Franciscan family has chosen to work on this issue now. I think it’s a real sign of hope. Q. Can you describe the formation courses you’ve developed? Are they only for Franciscans? A. The documents and courses were created for the friars, but they could be good resources for people in general. For example, the JPIC office has posted a number of materials on the OFM website to help people reflect on the themes I’ve mentioned. “Care for Creation in the Daily Life of the Friars Minor” is kind of an environmental audit. In it there are nine different areas that people can look at, and it raises questions about each: how we use water, how we use energy, how we dispose of our trash, etc. We want to encourage one another to be part of the solution. “Franciscans and Environmental Justice” basically tries to show the interface between justice and environmental issues. 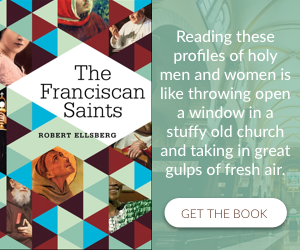 It talks about Franciscan spirituality as a strong motivation for this work, and it outlines a new ethic for a globalized world. It also gives four specific examples of friars living out JPIC values in Asia, Africa, Latin America, and the United States. I think readers might find these examples helpful. Q. Where is the cutting edge of ecological work happening among Franciscans today? A. In Indonesia the friars are teaching the people organic farming, where they don’t use artificial chemical fertilizers. It’s a lot kinder to the earth itself, and the people themselves are building the momentum. We have about 400 families involved now, developing new skills so they can work for themselves. We are also involved in the issue of mining in Indonesia. The friars were invited by the bishop to go to a particular island because a mining company wanted to move in there. So the friars did a study about what would happen and then ran an educational campaign for the people. They explained that there would be short-term benefits, but mining would destroy the land. Once the company moved in, it was clear the people would be in worse shape. After the friars went in and educated the people about the reality, the people voted against it. They didn’t allow the mining company to come in. You can read more about Indonesia in “Franciscans and Environmental Justice.” You can also read about JPIC’s experiences in New Orleans after Katrina, in Amazonia, and in Kenya. Q. What lessons have you learned from your work? A. Generally speaking, I think the Church is at its best when it walks with the people. The first step is always to read the signs of the times, to do social analysis. Oftentimes, I think we do that poorly, because if we were to do it well and really see what’s going on, we would be very indignant about it in terms of the injustices people face, the lack of dignity. So many people have had their dignity stolen from them, and there’s a growing chasm between the rich and the poor. This is insane. People are being trampled. We’ve got to find ways to share what we have, to share the resources, and at the same time be concerned about our sister Mother Earth, as Francis would say. As a Franciscan family, we need to come together to try to encourage our own brothers and sisters to be involved in these issues. Q. How can laypeople become involved in these efforts? A. 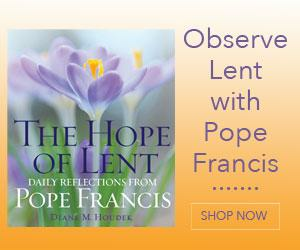 You know the story of Francis’ conversion—when he embraced the leper? In JPIC we raise the question: Who are the lepers today? I would hope that all of us who are influenced by and love Francis will be challenged to live his commitment to these people, the most marginalized. Not only people we know who live across the street from us, but also the ones who live across the world from us. I think more and more it’s obvious that we are tied to one another, and if we don’t take that seriously, and if we don’t think together about solutions to the problems we face, we’re all going to go down together. I would hope that the response wouldn’t be just something verbal, but that people would follow up on what they’ve learned and look for ways to address the situations we see. It could be as simple as one lifestyle change. For example, in the United States our average food travels 1,500 miles, and that means using all kinds of transportation and fossil fuels. If readers have a farmers’ market nearby and shop there instead of at a grocery chain, they can eliminate some waste and encourage local farmers. It might sound very small, but a lot of times the small issues are the ones that begin to change our attitudes, and then as our attitudes change, we can look for bigger and bigger questions and bigger and bigger solutions, too.